In the hands of Nadevmo. Use TB2BJCA to reference this item. This coin is being released in loving memory of Tod from Team Rod & Tod w/KAboom, Tod was killed in a motorcycle accident on Aug 12, 2008. Please keep this coin moving to help spread the awareness of bikes on the road!! If you have a spare coin and you'd like to help spread awareness of bikes, it would be much appreciated! Although we never had the pleasure of meeting Tod in person, he will be missed by all who knew of him. Todie's Wild Ride: Maintain Your Bike attended a M&G for new TBs hosted by GeoPig at one of her favorite eateries. 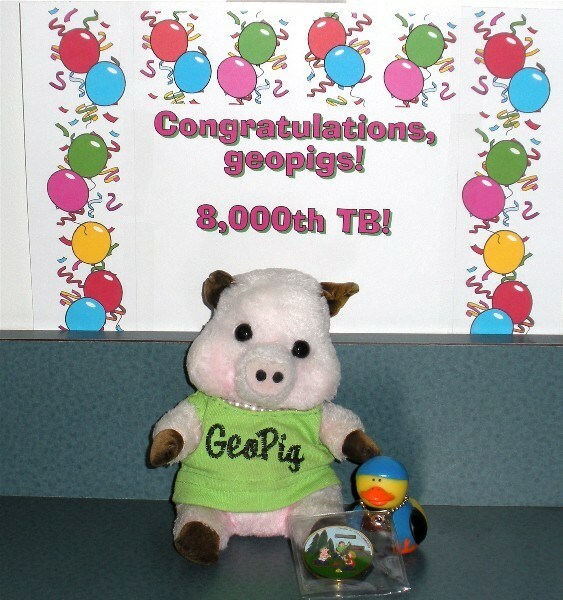 He'll be leaving for California with GeoPig tomorrow. Todie's Wild Ride: Maintain Your Bike is our 8,000th TB. We are especially honored to be the first to move this TB, as Rod is a very good friend, and Tod was also. We are pleased to play a part in spreading the word about bike safety and sharing the memory of Tod with everyone who grabs this TB.